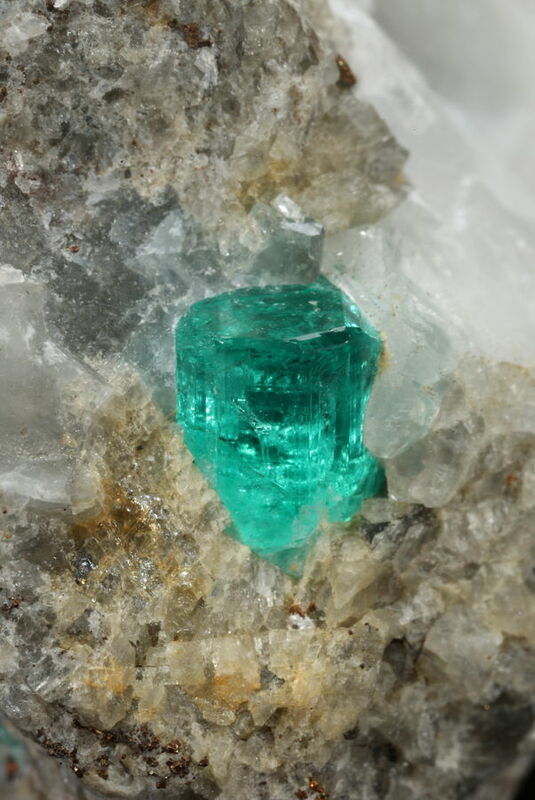 Bright beryl crystal set in a brecciated albitite matrix from Chivor. 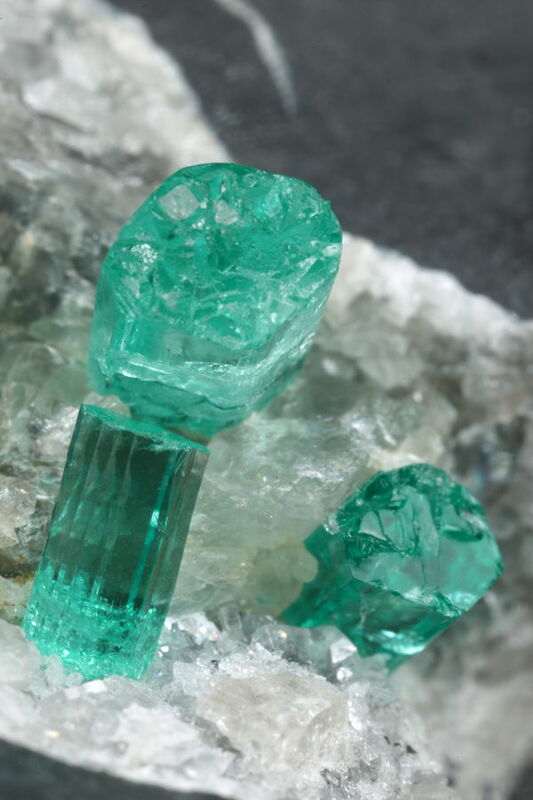 Semi-transparent Chivor crystals, most probably from Palo Arañado mine. 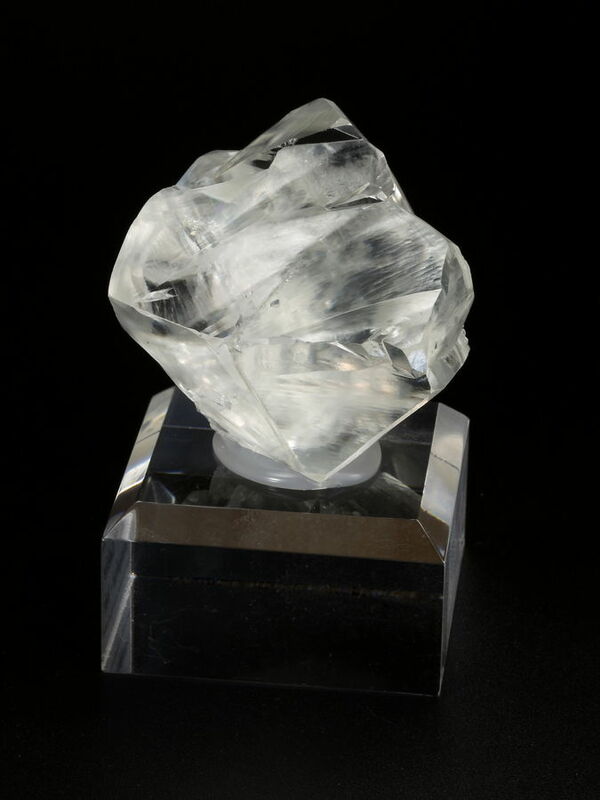 Semi-transparent Chivor crystals, most probably from Palo Arañado mine. Host rock is black shale. Thanks for your nice comment Tobi. 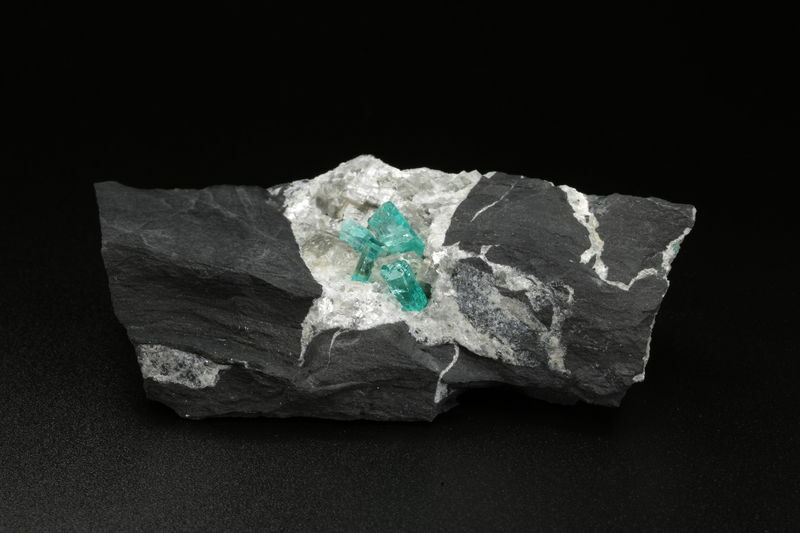 This is a good example of the typical bluish-green hue found in some of the Chivor crystals. 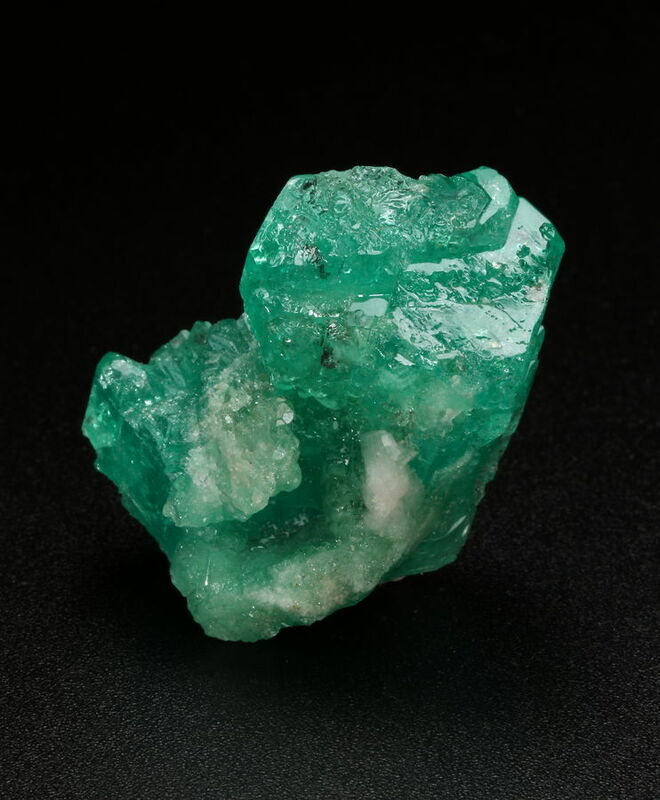 This color is rarely seen in the crystals from the Western Belt (Muzo, Coscuez, La Pita, Peñas Blancas). 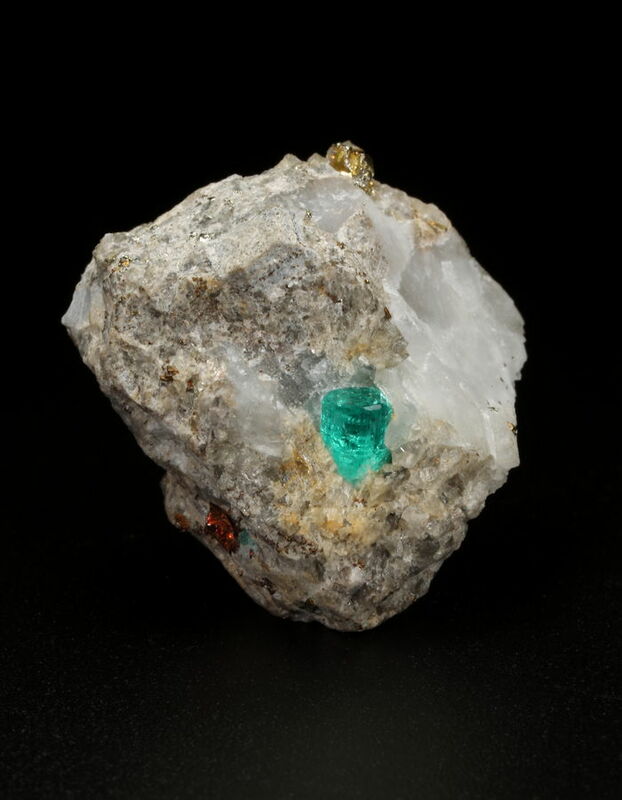 This also explains why the Chivor faceted stones are less sought-after than the Muzo/Coscuez/La Pita ones which have generally a much higher green saturation. Useless to say that these are just general trends and there are many exceptions to this 'color rule' in both belts. Aggregate from Coscuez with a complex termination.